Once Upon a Twilight! 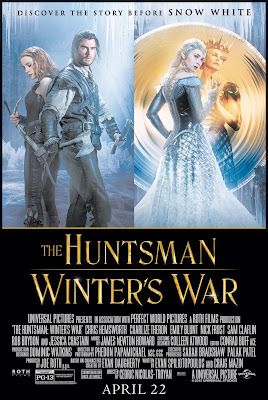 : #Seattle Win Passes to #TheHuntsman 4/19! #Seattle Win Passes to #TheHuntsman 4/19! Once Upon A Twilight invites you and a guest to a special advance screening of Universal Pictures' THE HUNTSMAN: WINTER’S WAR on Tuesday, April 19th 2016! Click the poster below and enter your information for a chance to win passes. Do you want me to email you? Or the email in this "link"? if you're getting an error, please send your name and email to admin@onceuponatwilight.com since the link it's working on my end. John H. is a plus! Just saw him on James Cordon.